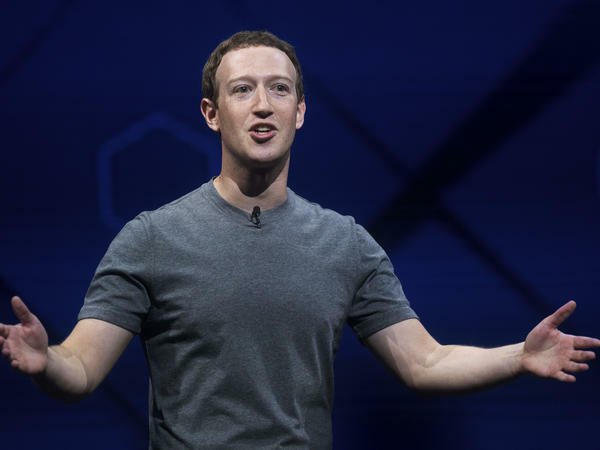 For months, Facebook CEO Mark Zuckerberg had claimed that security experts at Facebook had found no evidence of Russians involved in fake news. Now, Facebook is turning over thousands of ads to Congress it said had been placed by a Russian agency. Facebook is under increasing pressure to scrutinize its advertising content after it discovered that at least 3,000 ads on the site had been placed by a Russian agency to influence the 2016 presidential election. The revelations about the ads came after months of denial by CEO Mark Zuckerberg that Facebook played any role in influencing voters. As has been widely reported, the pressure on the company began shortly after the 2016 election. But Zuckerberg rejected the idea that fake news on the network had any impact on voters. He called that a "crazy idea" and said "voters make decisions based on their lived experience." But at a conference in Lima, Peru, shortly after the election, then-President Barack Obama pulled Zuckerberg aside and made a personal appeal to him to take the threat of fake news seriously because it wasn't going away and would return again to haunt the next election, The Washington Post reported. Sen. Mark Warner, D-Va., also had conversations with the company trying to push Facebook to look carefully at activity on the site leading up to the election. For months, Zuckerberg had claimed that security experts at Facebook had found no evidence of Russians involved in fake news. Then, last week Facebook said it would turn over the content of ads to Congress it said had been placed by a Russian agency. Members of a hacking group connected to Russia's military intelligence unit, the GRU, began creating fake Facebook accounts as early as June 2016 to amplify stolen emails from the Democratic National Committee, the Post reported. According to the Post, some of those ads specifically sought to deepen disagreements about Muslims and the Black Lives Matter movement. In a live video, Zuckerberg announced a series of reforms meant to guard against international agents trying to influence voters. He announced changes to the way political ads would be placed. Advertisers will be required to disclose who sponsored their ads. Users will be able to see an advertiser's webpage, who is behind an ad, what other ads they've sponsored and who else is being targeted. This should enable users to understand the deeper motivations of an advertiser. The company is also adding 250 employees to focus on election integrity and security. However, Zuckerberg also admitted, "I wish I could tell you we're going to be able to stop all interference, but that wouldn't be realistic." It is especially hard to catch bad actors because of the way that Facebook's advertising model works. Before the Internet, there were human salespeople who sold ads and did the placements. Now, the process is automated. An advertiser signs up online and pays money to target a specific kind of user — say, someone who lives in a certain area and is interested in leather shoes. That makes it much easier for bad actors like Russia to outsmart the computers. This is a problem not only at Facebook but at most tech companies — including Google and Microsoft. In fact, lawmakers are beginning to think these companies need more government oversight around political advertising, which has been true for other media for decades. A company like Facebook is virtually a monopoly. Close to 70 percent of Americans use the social network. Senate Democrats have been crafting legislation that would require Internet companies to disclose the names of individuals and organizations that spend more than $10,000 on election-related ads. Undoubtedly, the fear of being regulated is part of why Facebook is trying to take the lead now on the issue of fake news on the site. Google and other tech companies are likely to lobby hard against any regulations. However, congressional deadlock could be on their side since Congress hasn't been passing much of anything lately.